Tscharke wines are a true reflection of their space in the world. All estate grown by sixth generation Barossan Damien Tscharke using organic principals in the Marananga subregion of the Barossa Valley. Low intervention winemaking producing a range of classic Barossa styles as well as emerging Mediterranean varietals. Tscharke wines have rapidly gathered a cult following for their outstanding quality at incredibly low prices. Join us as we bring a taste of Tscharke’s Place to the Arkaba. A delicious two course meal matched with five Tscharke wines, hosted by Tscharke winemaker Damien Boyle. Learn about how the Barossa can produce wines of elegance and restraint, not just weight. Wines will be available to order on the night at special event pricing. 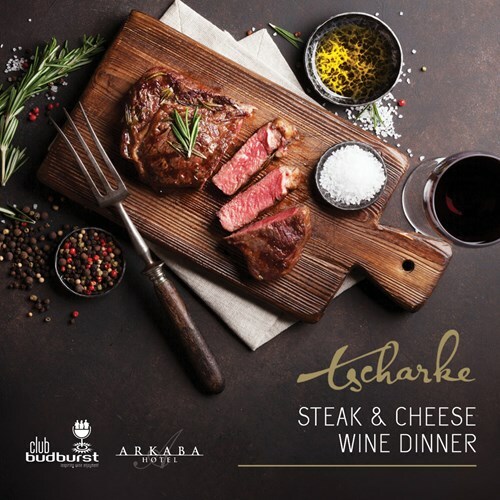 Includes a smoked beef fillet with sides and local assorted cheeses paired with Tscharke wines.